Monday, the worst day of the week, you have to put the weekend behind you, you have to do work, you have to think about all the work you have to do all week, no one is ever happy on mondays (unless its your birthday or a national holiday). So I have decided to post bands that i have discovered weekly on mondays. I will also include future concerts coming to this area and new cd coming out. I hope these posts will bring you a little song of joy on mondays. You might hate them, you might love them, you might have already heard of these bands, but to summarize my taste in music will be hard. 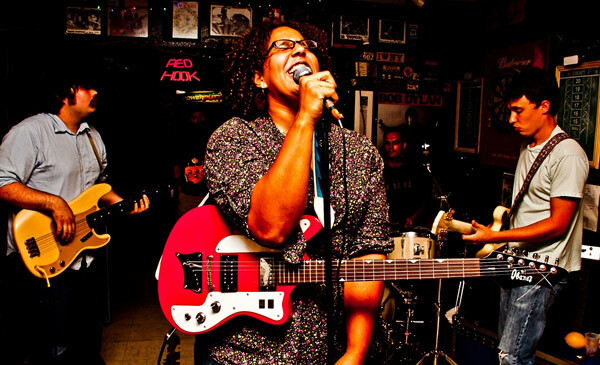 I like indie music mixed, with americana music, mixed with folk music, mixed with rock and roll. I was born and raised in Nashville so some country bands might squeeze into the lists. And you never know a Rapper or a Rastafarian might catch my ears and make it into music mondays. 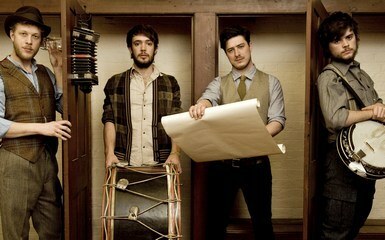 3.Mumford and Sons: EVERYONE and there mother have heard of this band i am sure. They are americana, folk, and indie, they are a lot like the avett brothers and old crow medicine show. If you haven’t listened to their music please check them out. I am so happy to announce that i am the owner of a ticket to see them play at the historic ryman auditorium in Nashville, TN. They are playing 3 soldout shows in Nasvhille in March. Eventhough it is 60 dollars and 3 hours away I will be listening to this amazing band for 3 beautiful hours in a beautiful place. I know the next time they tour they will be playing in huge arenas, so i couldnt pass this oppertunity up. The concert cant get more personal than this. I would like to give a shout out to the ryman’s twitter account for directing me in the right direction to buy my ticket, and to keep the fans updated on the amount of tickets avalible. Ticket master was messing up that morning and the team at the ryman was helping their fans out so much by posting updates on twitter. If you are interested in seeing the, you can check ebay or amazon for tickets but dont be suprised if you see some for hundreds of dollars. Happy monday yall, listen on.